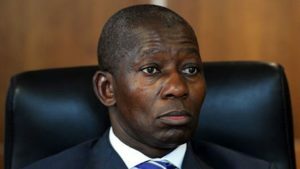 A member of the legal team of the Commission of Inquiry into State Capture, senior counsel Advocate Vincent Maleka, is scheduled to put Eskom-related documents on record when the public hearings continue in Parktown, Johannesburg. On Tuesday National Treasury Economist, Catherine MacLeod, said that government’s debt increased by R26 billion following the axing of Former Finance minister Nhlanhla Nene in 2015. The post WATCH: State Capture Commission of Inquiry appeared first on SABC News – Breaking news, special reports, world, business, sport coverage of all South African current events. Africa's news leader..